This lecture accommodates a thorough elucidation of Muscular System. 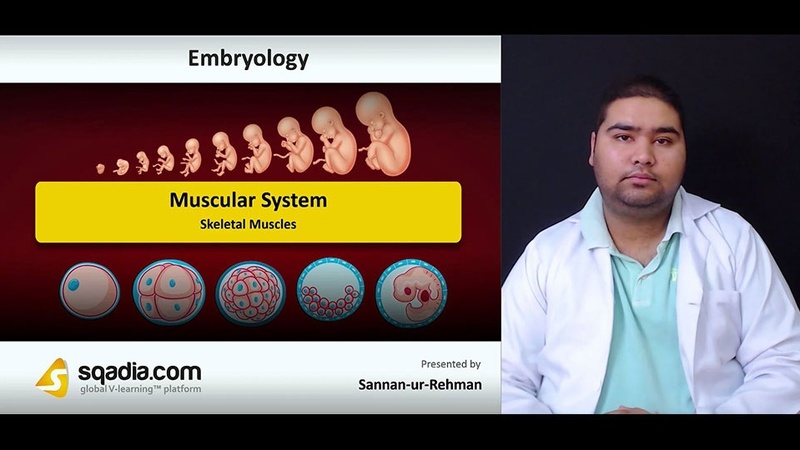 Section one of this lecture primarily focuses on Skeletal Muscles. The educator begins by giving an Introduction of Skeletal Muscles. After this, the Origin and Development of Skeletal Muscles is highlighted followed by an explanation of Innervation of Skeletal Muscles. Section two is about Molecular Regulation of Muscle Development. The educator extensively demonstrates Muscle Origins. Moving forward, light is shed on Genes involved in Molecular Regulation of Muscle Development. Afterwards, Patterning of Muscles is discussed. Section three refers to the topic of Head and Limb Muscle Regions. In this section, the educator speaks extensively about Head Musculature. In addition to this, light is shed on Limb Musculature in detail. Section four is regarding Other Muscle Regions. In this section, the educator thoroughly demonstrates Cardiac Muscles and Smooth Muscles. In section five, the educator speaks about Clinical Correlates. The educator elaborates on this matter by explaining various disorders of Muscular System such as Poland Sequence, Prune Belly Syndrome, Muscular Dystrophy and Arthrogryposis (Congenital Joint Contractures).